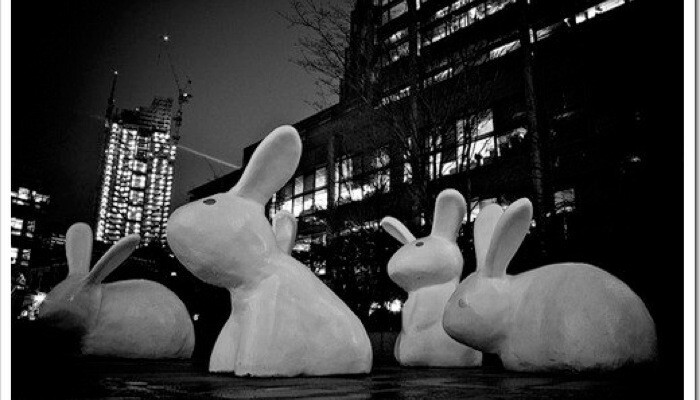 These lovely rabbits were commissioned by Spitalfields Market in London for a temporary exhibition. They created such an impact that they stayed for over a year. 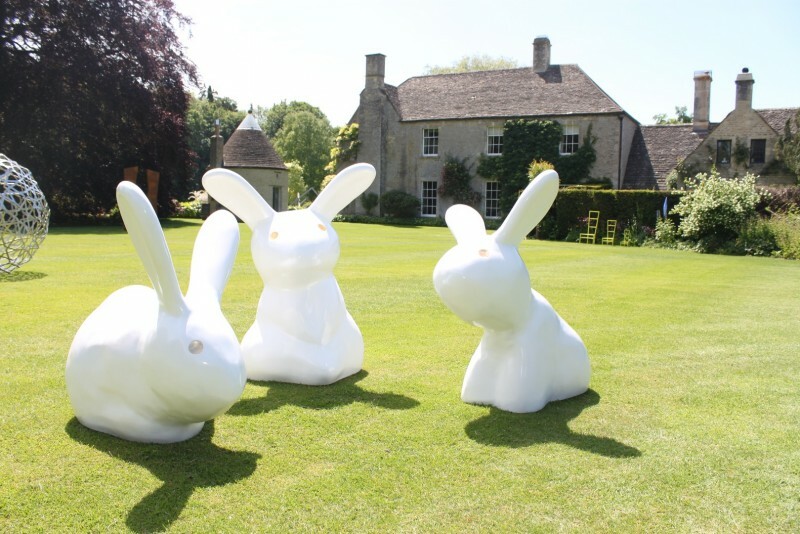 They have been used in advertising campaigns for Suzuki and Burberry also featured in Emirates in flight magazine and published in a lovely hard back book 500x public art. They also make appearances at wedding please contact me to find out rates for hire. Price is per rabbit made to order in different colours. Please allow extra time in busy periods. Please note that as this is a bulky item the price does not include delivery please phone for a quote.